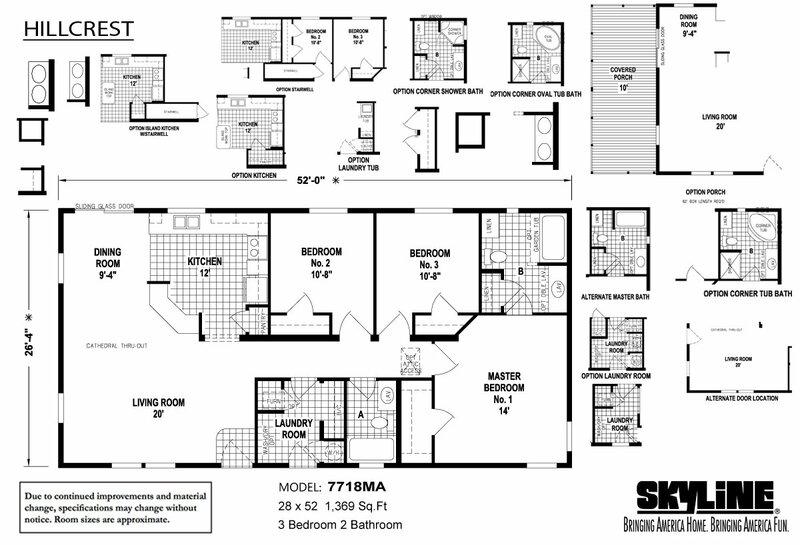 Unique Skyline Homes offset floor plan with integrated covered porch deck features open concept large living area and beautiful kitchen with lots of handcrafted cabinets, secluded luxury master bedroom and bath, optional third bedroom. Offered by Skyline Homes, located in Sugarcreek, Ohio, available for sale by authorized retailers in Ohio, Kentucky, West Virginia, Pennsylvania and Indiana. Beautiful country kitchen with an abundance of handcrafted cabinets, separate family den, spacious master suite with luxury bath choices. Offered by Skyline Homes in Sugarcreek, Ohio and available for sale by retailers throughout Ohio, Kentucky, West Virginia, Pennsylvania and Indiana. 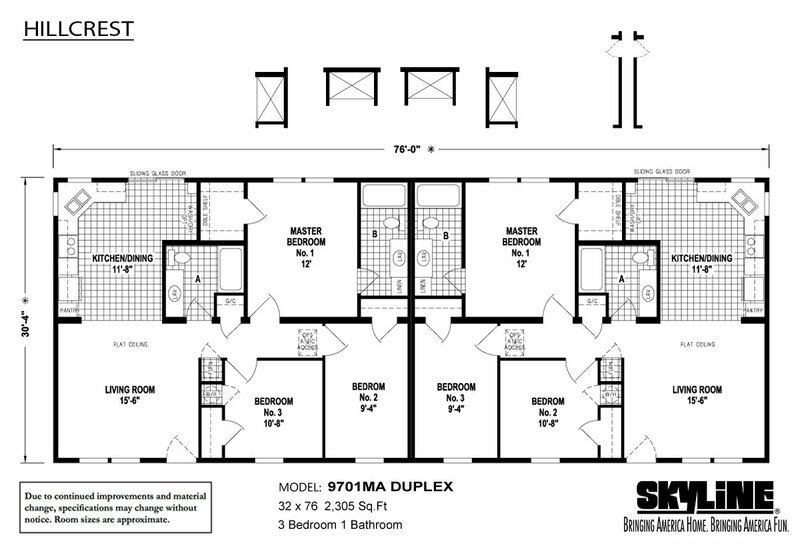 Two well designed homes is this big 32’ double section modular. Each with elegant kitchens, large bedrooms, baths and cathedral ceilings throughout. An inexpensive investment, live in one, lease the other. Produced by Skyline Homes in Sugarcreek, Ohio, and available for sale by retailers and builders throughout Ohio, Kentucky, West Virginia, Pennsylvania and Indiana. 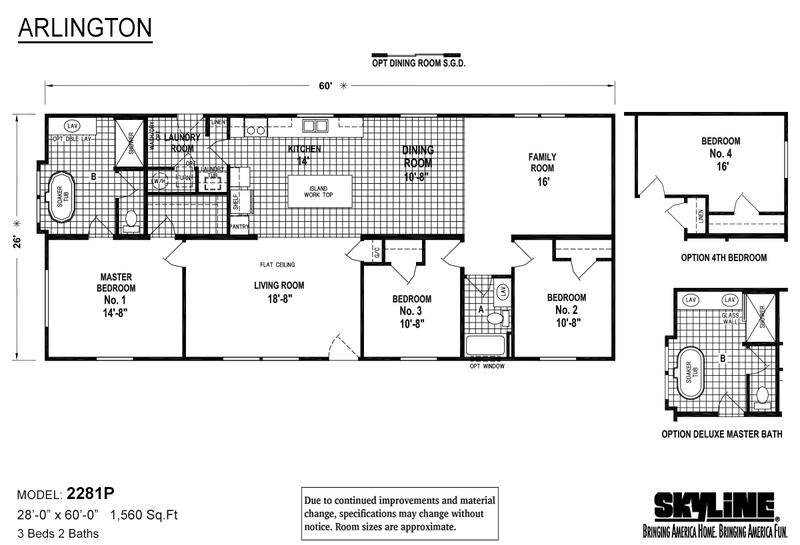 Well designed family modular home with open living room, beautiful kitchen with large island work station/snack bar. Extra large family room at rear of home. Privately located master bedroom with glamour bath. Wide election of customizable options and features. 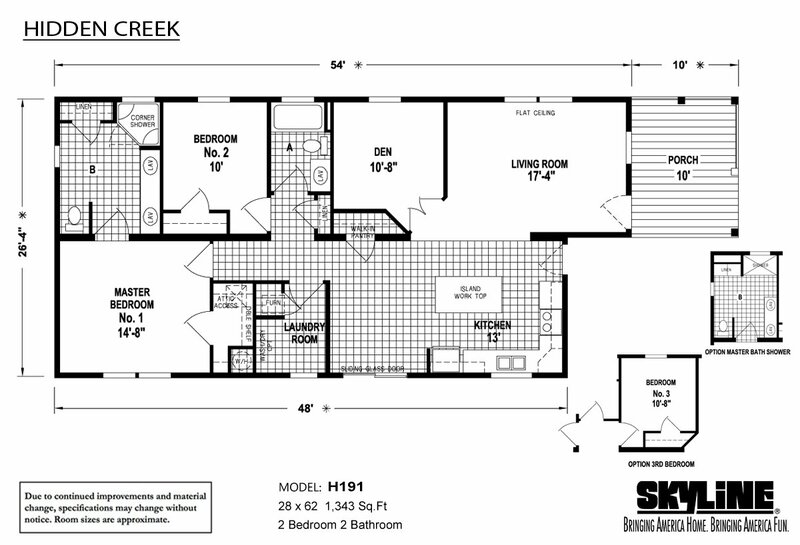 Offered by Skyline Homes in Sugarcreek, Ohio. and available for sale by retailers throughout Ohio, Kentucky, West Virginia, Pennsylvania and Indiana. 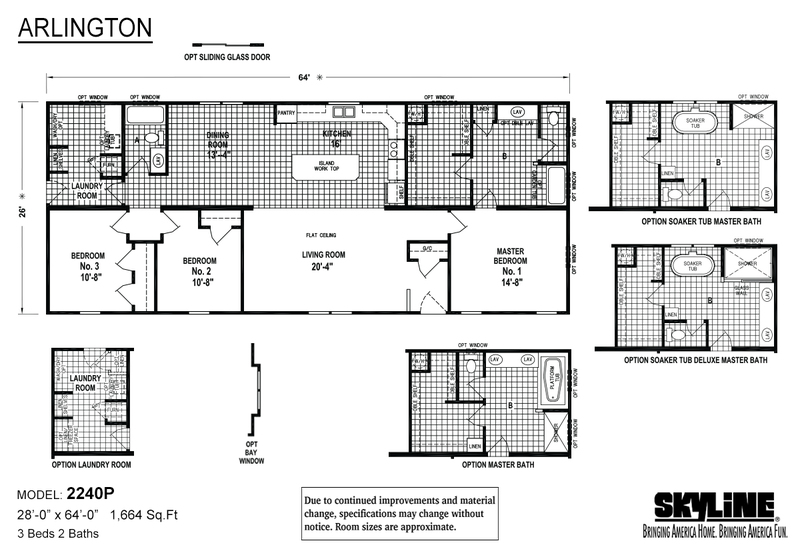 Well planned midsize dual section manufactured home also available as a modular for residential siting. 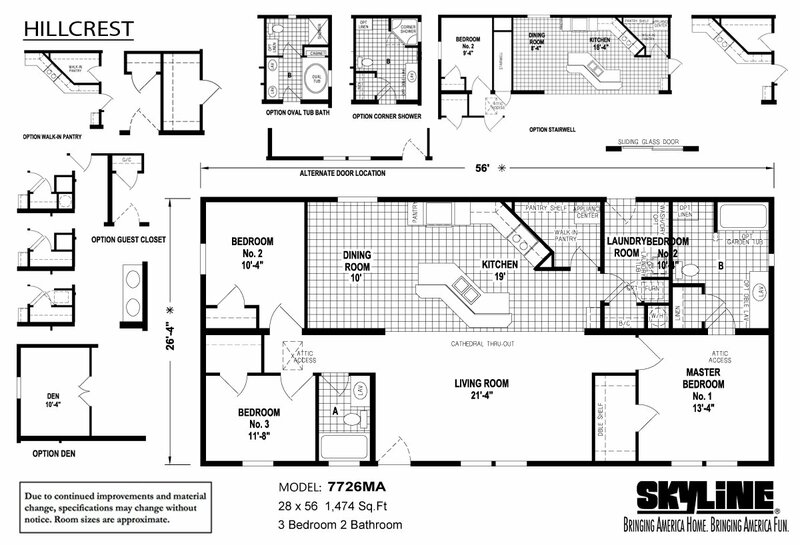 Open concept plan ideal for entertaining. Beautiful well equipped and appointed kitchen with island. 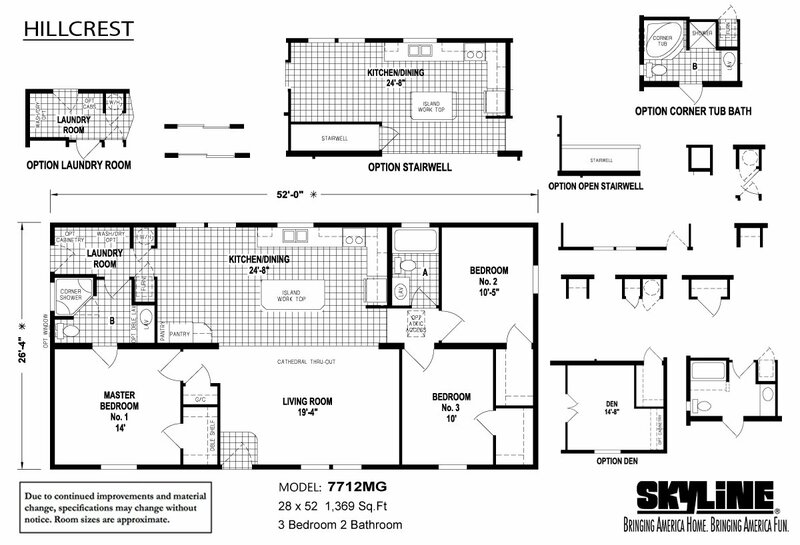 Privately located large master bedroom and luxury bath. 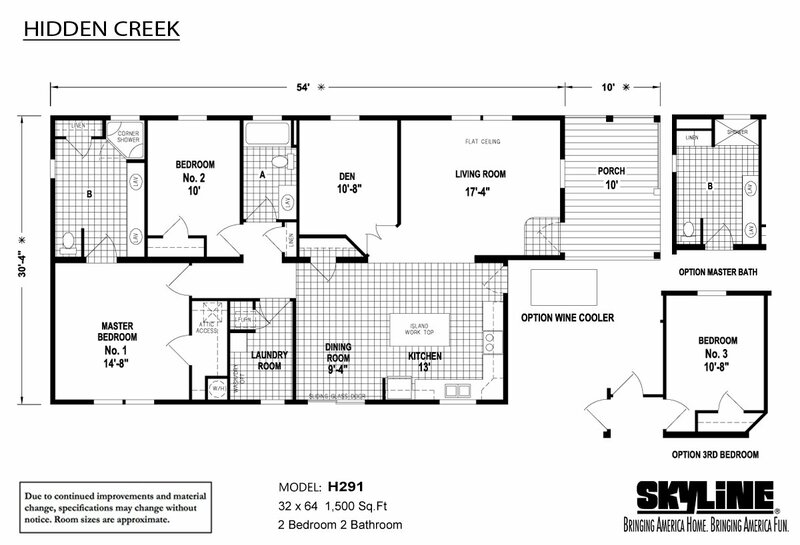 Offered by Skyline Homes, located in Sugarcreek, Ohio and available for sale by authorized Skyline Homes retailers and builders in Ohio, Kentucky, West Virginia, Pennsylvania and Indiana. Modular with front side country kitchen with center island worktop and formal dining room, sprawling living room, cathedral ceiling throughout, large master bedroom with luxury bath and upgrades available throughout. Offered by Skyline Homes of Sugarcreek, Ohio, and available for sale by retailers in Ohio, Kentucky, West Virginia, Pennsylvania and Indiana. 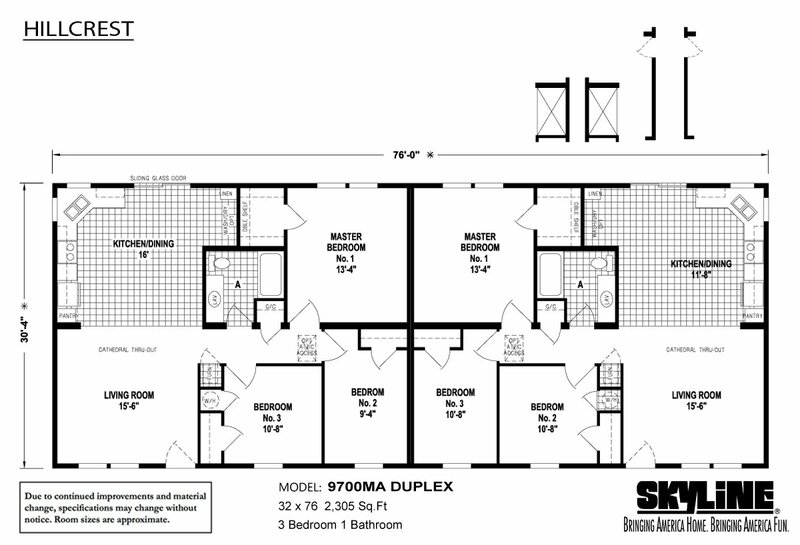 Skillfully designed modular home with large living room open to beautiful kitchen with an abundance of handcrafted cabinets and seemingly endless countertop space. Convenient laundry/utility room with extra storage capacity. Offered by Skyline Homes of Sugarcreek, Ohio, and available for sale throughout Ohio, Kentucky, West Virginia, Pennsylvania and Indiana. 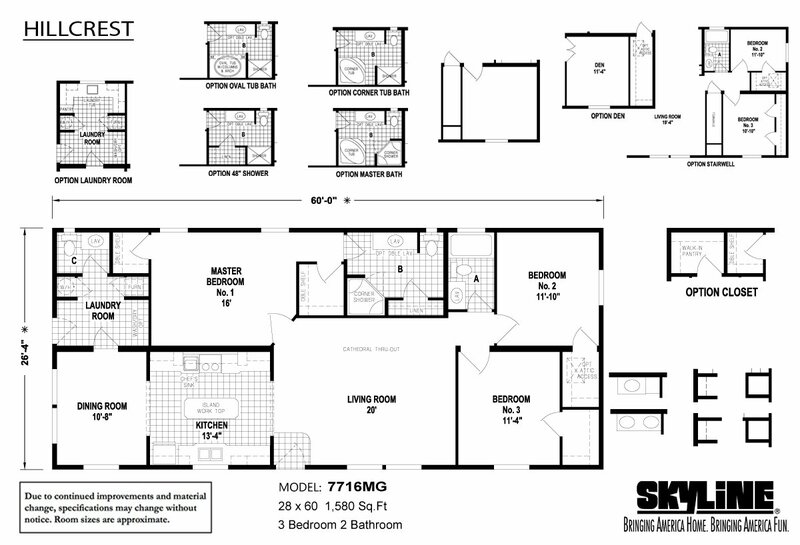 Ideal family modular home floor plan with sprawling open living areas of living room, elegant kitchen with z-shaped island snack bar/work station and and large walk-in pantry. 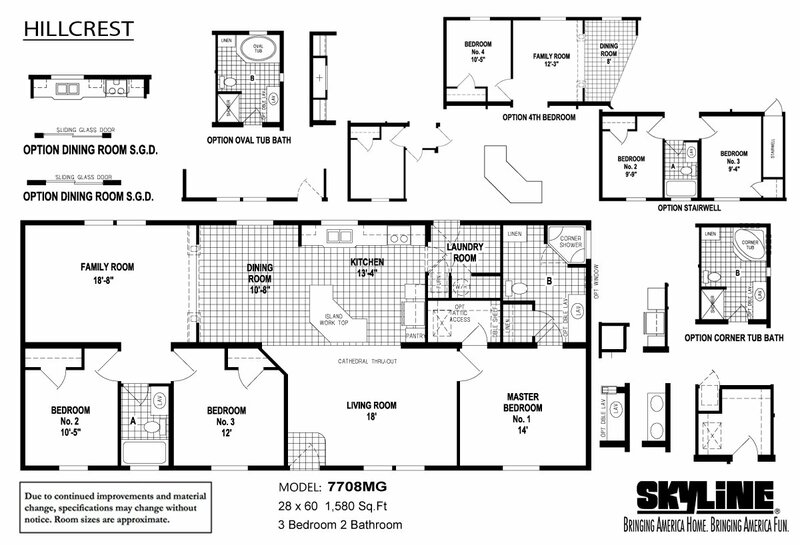 Master bedroom and luxurious bath located at opposite ends of home. Offered by Skyline Homes of Sugarcreek, Ohio, and for sale by retailers in Ohio, Kentucky, West Virginia, Pennsylvania and Indiana. Modular family home with country kitchen with breakfast room, spacious great room in center of home, cathedral throughout with lots of windows allows natural light to bathe the entire living areas, large bedrooms and lots of storage capacity. 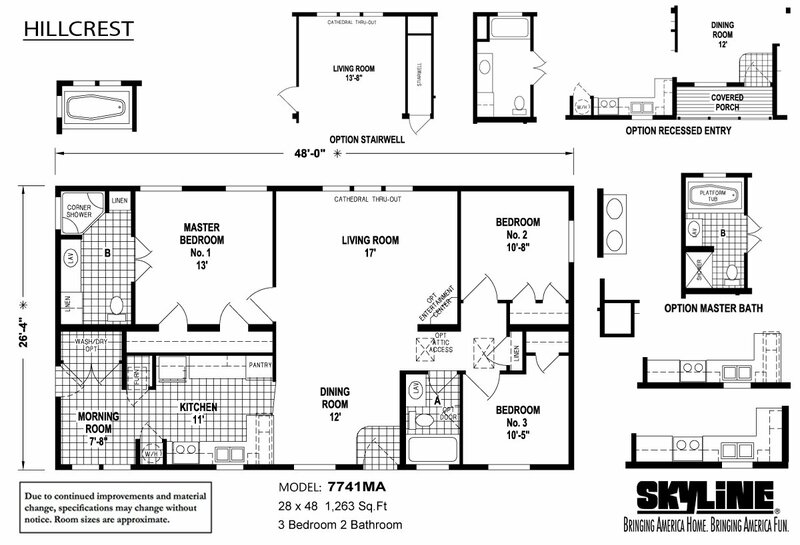 Offered by Skyline Homes in Sugarcreek, Ohio, and available for sale by retailers and authorized builders in Ohio, Kentucky, West Virginia,Pennsylvania and Indiana.